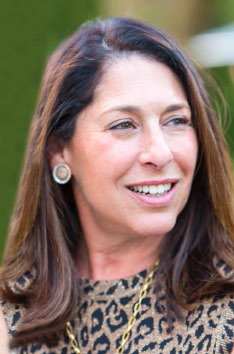 Meryl Kern brings to Women’s Guild a 20-year track record of successful marketing and advertising at Regency Outdoor Advertising in Los Angeles and BBDO, one of the largest advertising agencies in New York. She opened her own boutique agency in New York, where she worked with clients such as AIG, Hilton Hotels and Citibank. She spent many years working with New York Mayor Michael Bloomberg on award-winning disability programs and created a major diversity program for Fortune 500 company Entergy. She was critical to the founding and growth of addiction treatment center and congregation Beit T’Shuvah’s new marketing agency. She and her husband established a continuing education program for Cedars-Sinai oncology nurses and started a Cancer Survivorship Program at Tower Oncology. Jill Kort earned a BA in psychology with a minor in business administration from UCLA, then launched her career in property management and leasing, eventually becoming general manager of half-a-million square feet in properties. In 1993, she married Lee Kort, of Kort and Scott Financial Group. They have two daughters, Alexa, 21, and Erika, 19. In 2015, she funded an endowment to support the Kort Family Foundation Brain and Spinal Cord Tumor Research Program in the Division of Neurosurgery at Children’s Hospital Los Angeles (CHLA). She volunteers on the cardiovascular surgery floor at Cedars-Sinai and in the Child Life Playroom at CHLA, where her husband serves on the Board of Trustees. She has been a member of the Board of Governors for 11 years and a committee member of the Pink Party charity event for 10 years. She is a member of Jewish Federation/Lion of Judah and AJU University of Women. 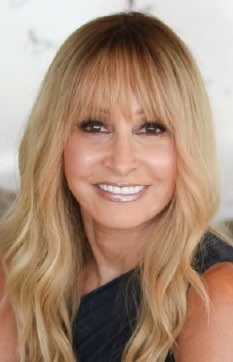 A former corporate lawyer and court-appointed mediator for the city of Los Angeles, Jody Fink Lippman earned a JD from Hofstra University School of Law, where she was an editor of the Hofstra Law Review. She worked for the Securities and Exchange Commission and Merrill Lynch while in New York and earned a Master of Laws in Mediation at Pepperdine School of Law. She is a member of the board of Center Theatre Group and has been a member of The Music Center’s Blue Ribbon since 2012. 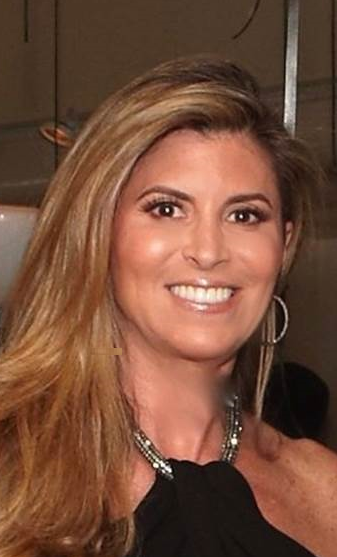 She is married to David Lippman, president and CEO of investment firm TCW Group, and they have four daughters: Meredith, an attorney; Kelly, a middle school history teacher; Robin, who works in design production in Boston; and Victoria, a student at USC Gould of School of Law. Linda Lippman became involved in Women’s Guild because of her admiration for this group of women who work to better the medical center’s community, and also because of the care she received after her 2010 breast cancer diagnosis. She witnessed firsthand the profound impact that high-quality patient care can have during a difficult time. Eight years after her diagnosis, she is cancer-free, which she credits in large part to a fabulous team of doctors, her loving family and the support of the Cedars-Sinai community. Along with her husband, Jim, vice chair of the Cedars-Sinai Board of Directors, she endowed the Linda and Jim Lippman Chair in Surgical Oncology, currently held by Armando Giuliano, MD, and established the Lippman Innovation Fund in Neurodegenerative Diseases and Disorders in honor of their brother-in-law, Barry P. Newburger.